August 27, 1979 - Geoff Thorpe moves from Hawaii to Santa Rosa, California, to pursue his musical career and start his own band. For the first year, before even having the band together, Geoff went to every concert and club show, passing out Vicious Rumors business cards, which helped to generate a interest in the music scene when the band did start finally playing out in the clubs. 1980 - VR plays the first "Metal Monday" along with Metallica, Motley Crue, Laaz Rockit and Exodus. Metal Mondays were metal shows sponsored by the San Francisco radio station KRQR, featuring the best metal acts in the Bay Area at Bill Graham's, "The Old Waldorf", the premier club in the Bay Area at the time. "Metal Mondays" were the birth of the Bay area Metal scene. 1984 - VR returns to "US Metal IV" with the song, "One Way Ticket". The line up: Gary St. Pierre - vocals, Geoff Thorpe - guitar, Chuck Moomey - guitar, Jeff Barnacle - bass, Don Selzer - drums. After the two "US Metal" releases, VR had built a strong Bay Area following which lead to their first recording contract - a 2 album deal with Shrapnel Records. 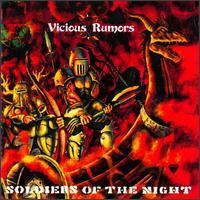 1986 - "Soldiers of the Night" was released. This album becomes album of the month in Holland and Germany. At this time Geoff met Gary St. Pierre in Hawaii. Gary was playing in the band "Hawaii" with now Megadeth guitarist Marty Friedman. At this point Mike Varney offered the band a US deal. The complete line up was: Geoff Thorpe - Guitar, Vinnie Moore - Guitar, Gary St. Pierre - Vocals, Dave Starr - Bass, and Larry Howe - Drums. Vinnie left the band after recording the album due to musical differences. Dave Starr tells Geoff about his friend Mark McGee, formerly of Star Castle to audition for a guitar player and this incredible singer Carl Albert, formerly of Ruffians and Villain. We all jammed one time and wrote the song "Digital Dictator" and the rest is history. Out goes Vinnie and Gary and in comes Carl and Mark. This lineup stays together for the next 9 years. 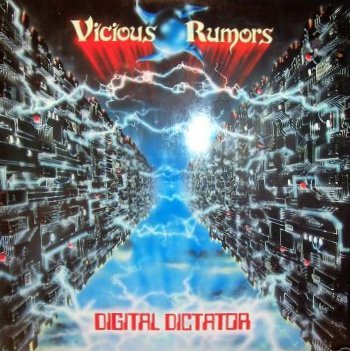 1988 - "Digital Dictator" - VR puts out their second studio album with Shrapnel Records. The line up: Carl Albert - vocals, Geoff Thorpe - guitar, Mark McGee - guitar, Dave Starr - bass, Larry Howe - drums. This album launches the band to an International level. VR tours Europe for the first time, performing at the Aardshock Festival in Holland and the Marquee Club in England. 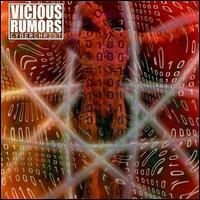 1990 - "Vicious Rumors" hits the market. The line up: Carl Albert - vocals, Geoff Thorpe - guitar, Mark McGee - guitar, Dave Starr - bass, Larry Howe - drums. The success and recognition from the 2 albums on Shrapnel generates interest in the band from the major labels. VR signs a deal with Atlantic Records and puts out their self-titled album. In support of this album the band tours the US and in Europe with Death Angel and Forbidden. The band was featured on the main stage at the Dynamo Open Air Festival, in Holland in front of 25,000 fans and the band's first video for the song, "Don't Wait for Me" is put on rotation on MTV's, Headbanger's Ball. After returning from Europe, the bands set out on their first full US tour for 2 months. 1991 - "Welcome to the Ball" is released, VR's 4th album and 2nd on Atlantic Records. The line up: Carl Albert - vocals, Geoff Thorpe - guitar, Mark McGee - guitar, Dave Starr - bass, Larry Howe - drums. 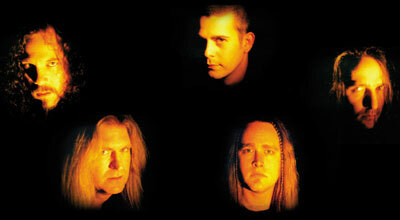 The band goes on a 1 month European tour with Savatage. The 2nd MTV video, "Children" goes beyond the exposure normally limited to metal bands on the Headbanger's Ball and gets regular daytime air play. And to top all of this off, VR is nominated for a "Bammie Award" (from Bamm Magazine) for best new metal album. VR tours the US for 4 months, building and strengthening their fan base in the States. 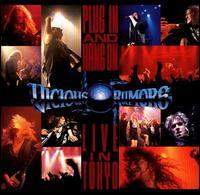 1992 - "Plug In & Hang On - Live in Tokyo" - VR releases their first "live" album. The line up: Carl Albert - vocals, Geoff Thorpe - guitar, Mark McGee - guitar, Dave Starr - bass, Larry Howe - drums. VR's sold out Japanese tour is a huge success. Soon after the band returns from Tokyo, band founder and guitarist, Geoff Thorpe is diagnosed with Carpal Tunnel Syndrome, a tendon disorder caused from constant repetitive movement in the hands and wrists. Geoff undergoes surgery on both hands to correct this problem. This procedure at that time was not always 100% effective and took him out of action for 9 months, the recovery period order by his doctors. In the traditional VR spirit, the band decides to put things on hold and to wait through Geoff's recovery/healing period to see if the surgery was successful. Although the band had decided to wait, Atlantic Records did not and decided to drop the band from the label. With time on his "hands" during his recovery period and without a record contract, Geoff decides it's time to take things into his own "hands" once again. Geoff starts GTM Management and gets the band new recording deals with Rising Sun Records in Germany and Alfa Music in Japan. 1993 - Geoff's hand surgery turns out to be a success and he is able to play again. Toward the end of that year, as pre-production began for their upcoming release, "Word of Mouth", VR headlines their own US tour without the benefit of a record deal in that territory. Shortly after, the band parts ways with long time bassist Dave Starr. Carl Albert suggests his long time friend and former band mate in Villain, Tommy Sisco, to fill the slot on bass. This new line-up was a success and went on to make more VR history for a number of years. 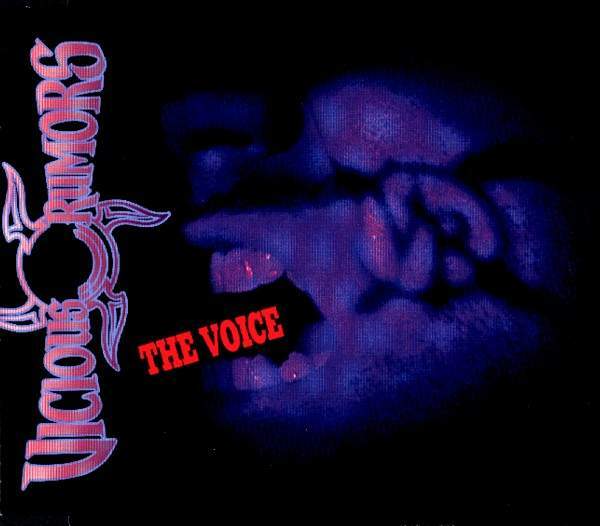 1994 - "Word of Mouth" their sixth album, is released. The lineup: Carl Albert - vocals, Geoff Thorpe - guitars, Mark McGee - guitars & co-vocals, Tommy Sisco - bass, Larry Howe - drums. This album generated immediate attention and put the band back on the road. In Europe, VR is back to perform at the "Dynamo Festival" in Holland once again, then joins up with Accept for more festival dates. After the completion of that tour, VR is called back for a second European tour, this time with, Metal Church, Killers, and Zodiac Mind Warp. 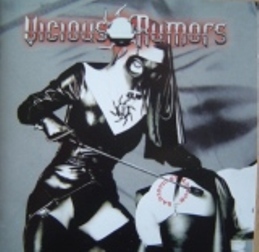 At the request of Rising Sun Records, VR is asked to go into the studio and record two bonus tracks to be put on a special re-released version of this album. The bonus tracks were recorded in, Hanover, Germany, engineered by Steve Mann, (from MSG & Sweet) with a special appearance by Paul Quinn, (from Saxon) lending his assistance on the backing vocals for, "Communication Breakdown". Since this request was completely unexpected, the band had no material prepared and the recording would have to start the next day during their only days off for the remainder of the tour. Cover songs were their only option - but which ones?? The band decided to go back to the roots of rock and chose two songs from the British Invasion era. The result - "Communication Breakdown" (Led Zeppelin) and "Paint It Black" (Rolling Stones) learned, recorded and mixed in 1 day!! "Word of Mouth" became Alfa Music's biggest seller that year. This year was extremely productive for VR, putting them back in the eye of the public and the media. The success of this album and it's US and 2 European tours had generated tremendous acclaim, recognition and endless rave reviews - the VR Ball was rolling once again!! 1995 - Mark McGee left the band in order to pursue change in musical direction and solo career. Geoff, Carl, Tommy and Larry began writing for the next album. For some time, the band had been considering a change in musical direction to a harder, more aggressive sound, especially Carl, and Something Burning was his opportunity to make it a reality. A lot of people are not aware that Carl and the band worked together on this sound. In fact, Carl made his biggest writing contribution of his career with VR on this album, co-writing most of the songs on it - unfortunately, Carl never got to see his dream through. Steve Smyth, a highly regarded local guitarist and friend of the band's, was the first guitarist they worked with following Mark's departure. He filled in for Mark during the writing process with Carl and the rest of the members. Even though still grieving over their loss, an important decision had to be made - What would the future be for VR? With over half of the material for the next release already written, much of it by Carl, the band felt they had no choice but to go on in Carl's memory and release his last works - and they knew, without a doubt, that Carl would have wanted and expected nothing less. By this time a rapport had been established between Steve and the band, not to mention being highly impressed with his playing, talent and vast musical knowledge - he was the obvious choice to fill Mark's spot. 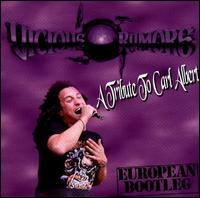 1995 - "Tribute to Carl Albert - European Bootleg", a special limited edition CD was released. The lineup: Carl Albert - vocals, Geoff Thorpe - guitars, Mark McGee - guitars & co-vocals, Tommy Sisco - bass, Larry Howe - drums. While in the process of writing and releasing "Something Burning", which would include Carl's last and never heard works, the band still felt that this was not enough. During Carl's last tour in Europe for "Word of Mouth", the band had recorded every show on a portable DAT machine with two room microphones over the sound board, specifically for their own reviewing purposes after the tour. They reviewed this footage and decided it should be released in memory of him and his final performances. And "live" it was! Recorded with no studio editing, no over-dubs - just as if you were there at the show and had the DAT recorder hanging from your belt. 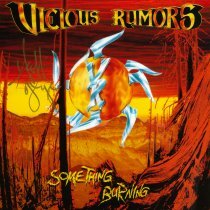 1996 - "Something Burning" is released. The line-up: Geoff Thorpe - guitars/vocals, Larry Howe - drums, Tommy Sisco - bass, Steve Smyth - guitars. After months of auditioning very talented and worthy singers, none of them felt right to the band - something was missing. To the band the only time it ever felt right was during their writing sessions with Geoff filling in the vocals. At this point the band decided to go as a four piece, with Geoff on vocals. As a result, "Something Burning" reached #4 in Germany's #1 rock magazine, "Rock Hard". The band was chosen for the cover story over Ozzy in the February 96 edition of "Heavy Oder Was" magazine. Exactly one year to the day of Carl's tragic death, the band left for a six week tour through all of Europe with Accept on their final, farewell tour, as well as supporting artists such as, Rainbow, Thin Lizzy, and Blue Oyster Cult at home in the States. 1997- After a year of their grieving was over, the band felt ready and wanted to be able to incorporate their original sound into their future live sets and new album. Enter Brian O'Connor on vocals. 1998 - "CyberChrist" is released. The line-up: Brian O'Conner - vocals, Geoff Thorpe - guitars, co-vocals, Steve Smyth - guitar, Tommy Sisco - bass, Larry Howe - drums. The 9th VR album, VR returns with a more tradition sound and is invited to go on tour with Blind Guardian, a top ten band in Europe. This was the largest attendance tour VR had been on to date. The band received excellent live reviews in all major media throughout Europe. 2001 - "Sadistic Symphony" is released. The line-up: Morgan Thorn - vocals, Geoff Thorpe - guitars, co-vocals, Ira Black - guitar, Cornbread - bass, Atma Anur - Drums. 2005 - "VR Crushing the World" is released. 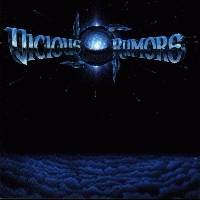 Vicious Rumors releases it's first DVD: VR Crushing the World and announces the return of drummer extraordinaire Larry Howe to the fold as well as bassist Dave Starr. Adding to this legendary line-up are James Rivera on vocals and Brad Gillis on guitars. 2006 - "Warball" is released. The line-up: James Rivera - vocals, Geoff Thorpe - guitars, co-vocals, Brad Gillis - guitar, Dave Starr - bass, Larry Howe - Drums. The 11th VR album. Geoff and the core rythm section of the classic VR lineup regroups with the expertise of James Rivera on vocals and the mastership of Brad Gillis on guitars, concocting a release that bring back all the elements that made Vicious Rumors the highly regarded name it has maintained through the years. 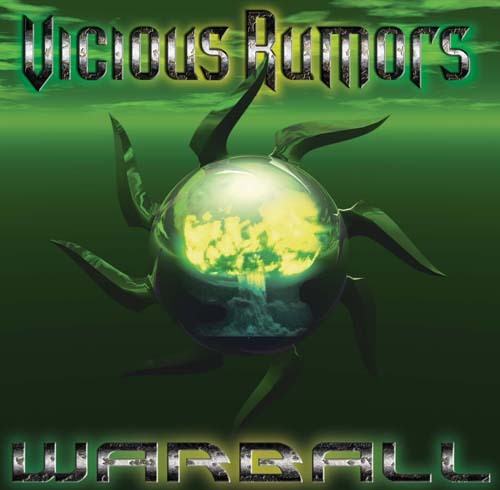 Supporting the release of Warball follows a tour in Europe and tentative plans for further touring in Japan and the US.